Will Indonesia Move the Capital Away from Jakarta & Java Island? The Indonesian government is still studying the possibility of building a new capital city in Indonesia, thus replacing Jakarta that has become overcrowded with approximately 10 million official residents (the real figure may be much higher as many unregistered Indonesians live in the capital). Moreover, every morning there is a huge inflow of people (originating from the satellite cities around Jakarta) who are heading to their office or place of work. This causes great pressure on the city's fragile infrastructure. Besides the high population density and limited available land (for property and infrastructure development), there is also a disaster looming. Each year Jakarta sinks by about 7 centimeters due to deep groundwater extraction in combination with pressure from high-rise buildings in Jakarta and the expanding population size, thus jeopardizing the well-being of future generations. Today more than 40 percent of the city is already below sea-level. 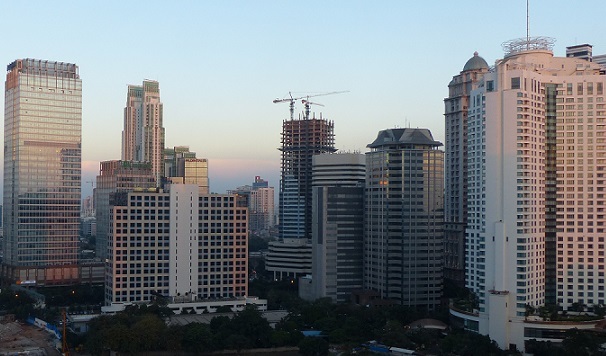 Bambang Brodjonegoro, Head of Indonesia's National Development Planning Agency (Bappenas), said authorities are studying plans to relocate the capital city and specifically the possible role of the private sector within this grand project as the central government has limited funds available in the State Budget. Meanwhile, Indonesian Public Works and Housing Minister Basuki Hadimuljono says the design of the new capital city could be ready - and presented to Indonesian President Joko Widodo - somewhere in 2018. He added the new location would require significant physical infrastructure development, a mass transportation system, a drainage system, and housing development. After all, around 900,000 government employees would need to be relocated to the new capital. Therefore, commercial centers are also required because these people (and their families) need to eat, drink, shop and be able to relax. Reportedly, President Widodo held a discussion on the details of the relocation of the capital city at the Presidential Palace in Jakarta earlier this week. Subjects that were touched upon included the feasibility studies and the funding for the relocation. Rosmaya Hadi, Deputy Governor at Indonesia's central bank, said the relocation of the capital city will only involve the relocation of the government administration, not the relocation of businesses. Therefore, Jakarta is bound to remain the economic power within the big Archipelago. However, it gives rise to some concern about the efficiency of doing business in Indonesia in the future when businesses and the central government are separated by many miles. Businesses need to consult government agencies and ministries regularly, hence the distance could become an obstacle. It is speculated authorities want to move the capital away from Java island. Several locations that are named as suitable for becoming the new capital of Indonesia are Palangkaraya (Central Kalimantan), Pekanbaru (Riau, Sumatra), and Makassar (Sulawesi). However, government officials will need to be careful when naming possible candidates to become the new capital city because land prices may surge drastically. In Indonesia progress of many infrastructure projects is undermined by land acquisition troubles often involving high asking prices for land.